Wes & Cathy Cleary of TEAM CLEARY, come to Pinnacle Sotheby’s International Realty with their combined experience and skills to best serve the needs of every client. They are specialists in equestrian, lake, and mountain Real Estate with a history of buying, selling and rehabbing homes for their own investments. 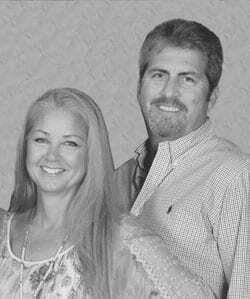 They have been entrepreneurs for over 30 years owning businesses in Florida and North Carolina. Committed to serving every client with diligence and unmatched enthusiasm, Team Cleary will develop a personalized strategy designed to accomplish each client’s unique Real Estate goals. Along with hard work and determination, they strive to offer the best representation for their clients. Wes and Cathy fell in love with Lake Lure after vacationing here when their two children were babies. In 2002 they bought a home and moved to Rumbling Bald Resort. Their favorite hobbies include hiking, camping, boating and traveling. Both children are students at Wofford College and their two adopted dogs, Dallas and Jack, love chasing squirrels and digging up rocks!